Why use daycare mirrors? The answer is really much more complex than "meets the eye." 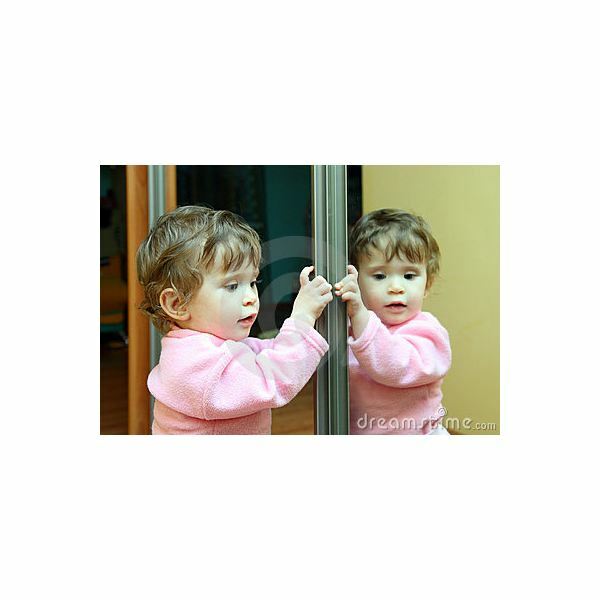 Using mirrors with infant and toddlers in a daycare setting is a developmental tool used to teach self recognition. Young children can also develop pre-reading skills from the use of mirrors by learning pronunciation, vocabulary, and the skill of identification. So, before purchasing daycare mirrors learn the reasons for using the mirrors, activities to do with infant-toddlers with the mirrors to foster learning and ultimately selecting the best ones for safety. Build Vocabulary– Name the body parts as you guide the child to touch his or her eyes, nose, mouth, forehead, ears, and neck and ask, "Where are your eyes?" Be sure to pronounce each word clearly and allow the child to repeat. Remember to sanitize the mirrors after every use to avoid the spread of germs and infectious disease. Mirrors must be acrylic and shatterproof. The mirrors must be secured to a wall or fixture whenever possible. Using daycare mirrors as an instrument for teaching is certain to be a lot of fun for young children, while promoting their self-awareness and ultimately self-esteem. There are many developmental activities to do with infants and toddlers in a daycare setting using mirrors, including imitating, self-awareness, vocabulary building and even motor skills. Enjoy the interactive play, but always use unbreakable mirrors for the safety of the children.